Available in 5" - 8"
With an end cone attached to the end of your chimney liner, you can safely guide the liner down your chimney. This will help prevent any snags or damage to the liner. 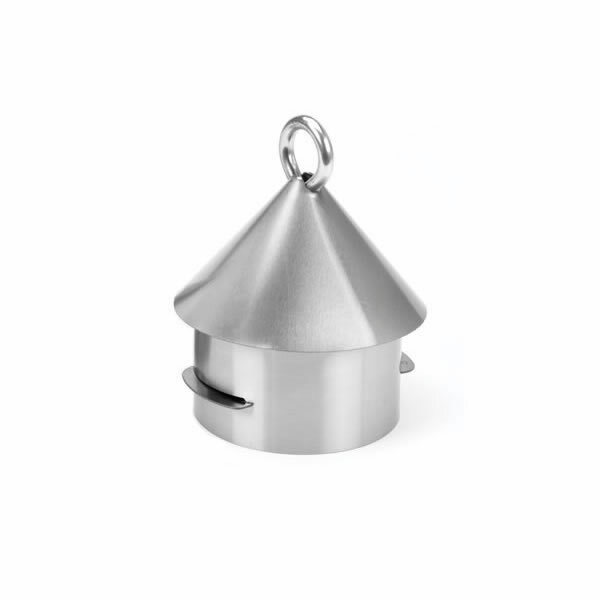 This end cone made by HomeSaver is conveniently designed for use with any Homesaver Pro/UltraPro 5.5-in chimney liner. It is constructed with 316 Ti-alloy and can screw neatly into the liner. It is also available for many different sizes ranging from five inches to eight inches.